August 7, 2018 - Kenmore, NY -- The New York State Health Facilities Association has announced that Randy Gerlach, President and CEO of Schofield Care, has been chosen by the American Health Care Association and the National Center for Assisted Living (AHCA/NCAL) as a future leader in long term and post-acute care (LTPAC). Randy Gerlach will join the Association's Future Leaders program, a year-long program that offers training and guidance for LTPAC professionals. "At AHCA/NCAL we are always searching for the future leaders of our profession. After a thorough review, we have selected Randy Gerlach as one of our future leaders," said Mark Parkinson, President & CEO AHCA/NCAL. "Randy Gerlach has already made a positive impact on the lives of older people in their community and we are excited to be a part of their future." "New York's long term care and post-acute providers and residents are truly fortunate to have Randy Gerlach chosen as an AHCA/NCAL Future Leader. Randy's extensive knowledge and experience are well known and highly regarded in New York," stated Stephen Hanse, President & CEO of the New York State Health Facilities Association and the New York State Center for Assisted Living. "As a recognized leader in New York, this program will raise Randy's leadership impact to a National level," added Hanse. Randy Gerlach has over 30 years of experience in healthcare management and nursing home operations both locally and throughout New York. 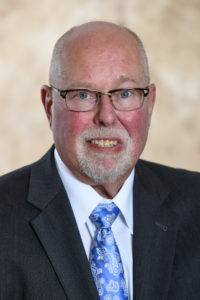 He is the Vice Chair of the New York State Health Facilities Association and has served as President of the Western New York district 10 for 5 years. Since 2004, AHCA/NCAL has hosted LTPAC professionals in the Future Leaders program. Selected participants both demonstrate leadership potential and represent the interests of both state and national long term care providers. The program covers the latest theories and practical applications in quality management, customer satisfaction, and leadership. The year-long program kicks off with a two-day symposium, "Future Leaders of Long Term Care in America," held each year in Washington, D.C. This year's symposium will take place September 26 - 28, 2018.